What your loved smartphone needs is the set of best ringtones with high-quality sound effects. Ringtones for Nokia™ will make your phone feel like brand new even if you have it for years! It’s never too late to update it with the new sounds of 2017. Download this new app and make sure you have new free sounds and best melodies for your smartphone! You don’t have to change your phone just because you’re bored with it. Freshen up your phone ringtones choose among the best sounds and find your favorite one. Free music ringtones will absolutely make you feel great and innovative. Make your smarphone prepared for best sounds of 2017 for free! Every change is good even if it’s on phone! Sounds & music used in Ringtones for Nokia™ app are under Public Domain license and/or Creative Commons’ license credited inside the app. App design and code © Fantasy Ringtones. 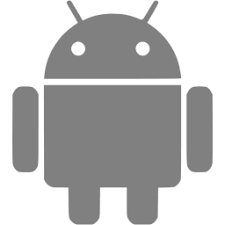 - Android is a trademark of Google Inc. This app is not endorsed by or affiliated with Google Inc.
- Nokia is a registered trademark of Nokia Corporation. This app is not endorsed by nor affiliated with Nokia Corporation. - Samsung is a registered trademark of Samsung Electronics Co. Ltd. This app is not endorsed by nor affiliated with Samsung Electronics Co. Ltd.
We value your feedback, so if you have something to share, then email us at [email protected] . If you’re enjoying the app, please leave us a rating and a review.